In this review we feature the best Bang & Olufsen headphones that provide superb value for money and detailed sound quality. These headphones are designed to provide a comfortable listening experience with crisp highs, detailed midranges and deep bass response. 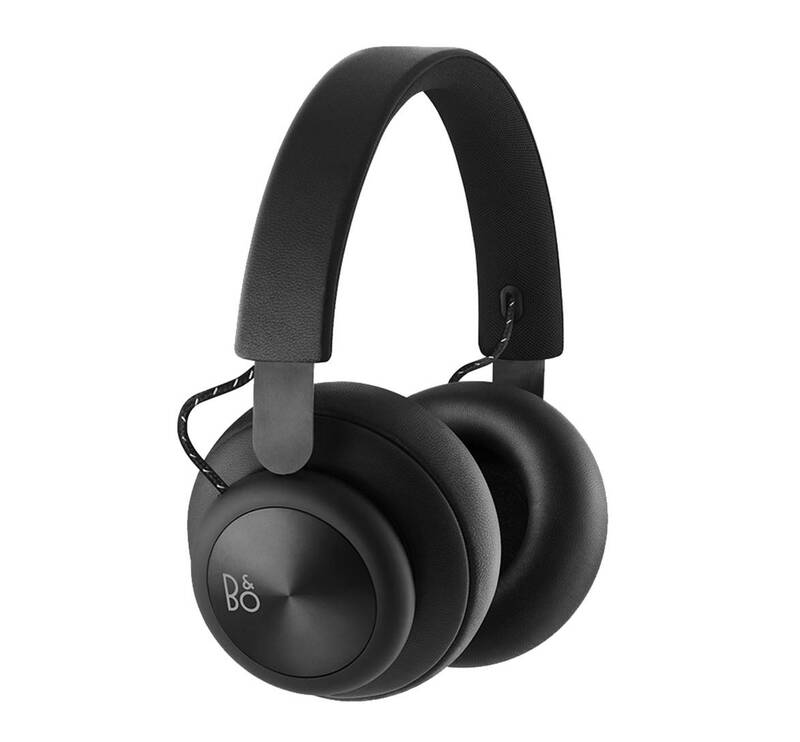 Furthermore, some of these B&O headphones come with active noise cancellation technology, making them ideal for travel or use on the plane. They also come with lush soft padding which makes these headphones very comfortable to wear for extended periods of time. If you are looking for the best B&O headphones, be sure to check out our top picks below! 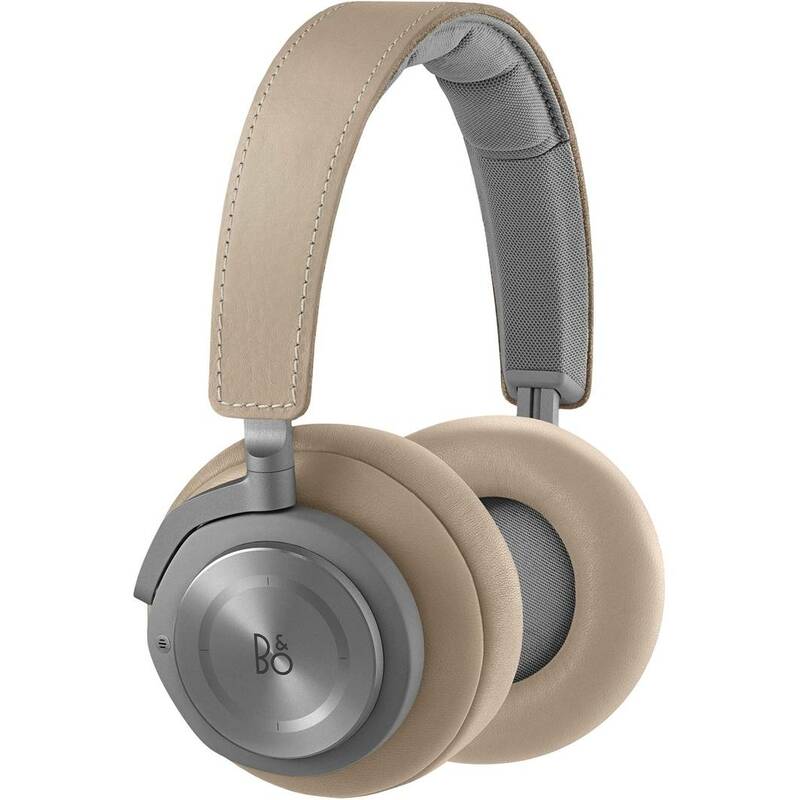 The Bang & Olufsen Beoplay H9i are wireless Bluetooth over-ear headphones that feature active noise cancellation (ANC), transparency mode and a built-in microphone. They deliver premium quality sound performance thanks to their new bass port for deep sound and two dedicated microphones for enhanced voice call clarity. The H9i headphones feature hybrid ANC that reduces both high and low frequency background noises. The Transparency Mode lets you tune back in to the outside world with a swipe of the touch pad and a convenient proximity sensor pauses the playback when the headphones are removed and resumes when they are replaced. They incorporate an intuitive aluminum touch interface for easy operation, even when you’re wearing gloves. You can swipe down to activate ANC, up to activate Transparency Mode and glide left to right to review your tracks. You can answer incoming calls by tapping the ear cup. The H9i wireless over-ear headphones can be paired with up to two devices at a time. An improved Bluetooth range of 121 feet lets you enjoy streaming even when you aren’t close to your music source. They offer 8 hours of playtime while using Bluetooth and ANC, along with an intelligent battery saver and a replaceable battery to prolong playtime. They come with both wireless and wired connectivity technology for easy use. The Bang & Olufsen Beoplay H4 are wireless, over-ear headphones that deliver high quality sound performance. They come with Bluetooth wireless connectivity technology that makes them compatible with smartphones, tablets, computers and any Bluetooth-enabled device. Their audio performance is well-balanced across the frequency spectrum, and they deliver a wide sound stage. The H4 headphones perform best in wireless mode where the sound is fine-tuned by equalizers in the Bluetooth 4.2 chip. The built-in microphone lets you take hands-free and noise-free calls. They feature a sleek and minimalist design with clean lines that makes them good-looking. They incorporate soft lambskin leather on the headband, memory foam in the ear cushions, stainless steel sliders that have been PVD coated and hairline brushed, anodized aluminum ear cup discs, and durable braided textiles over the cords. The leather, aluminum and steel materials ensure sturdy build quality and durability. These B&O headphones offer up to 19 hours of continuous playback with a single charge, a feature that makes them suitable for daily commuting. You can use the Beoplay application on your smartphone to change your sound profile to match your music to your activity and environment. The box features an audio cable, a USB cable and a quick start guide. 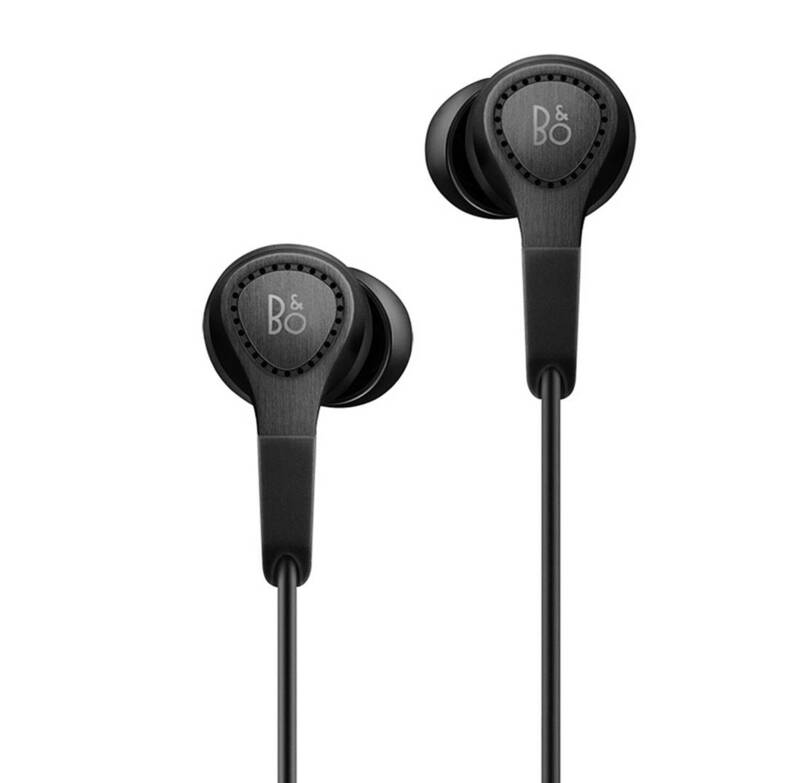 The BeoPlay H6 are premium quality over-ear headphones that deliver high quality stereo sound. They have been hand-tuned by Bang & Olufsen sound engineers, and they deliver a natural and authentic sound performance. Regarding the frequency spectrum, they focus on a clear midrange with a balanced bass and treble performance. This is achieved thanks to its 40 mm custom designed drivers with a neodymium magnet that are slightly angled to get the best distance and sound direction into the ears. The Bang & Olufsen H6 headphones also feature a bass port that optimizes bass performance. They come with wired connectivity technology and feature a built-in mic and a remote that allow you to take and receive calls. 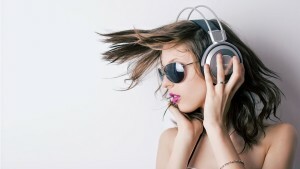 The daisy chain functionality allows easy music sharing. The BeoPlay H6 headphones feature adjustable, ergonomic and comfortable design, and they incorporate luxurious materials like leather and aluminum. The earpads are made of lambskin and the memory foam inside the ear pads adapts to your ears, ensuring a comfortable fit. The headband is made of cow leather and gains patina every day, aging in a good-looking way. The headphones have been made primarily of anodized high-grade aluminum, so they are robust and scratch resistant. The aluminum allows them to be lightweight enough to be portable as well as comfortable on the ears. The Bang & Olufsen Beoplay H4 are premium quality wireless headphones that deliver high end audio performance. They come with Bluetooth wireless connectivity technology that makes them portable and easy to pair with your Bluetooth-enabled device. They deliver crisp and crystal clear sound performance that is well-balanced across the frequency spectrum. 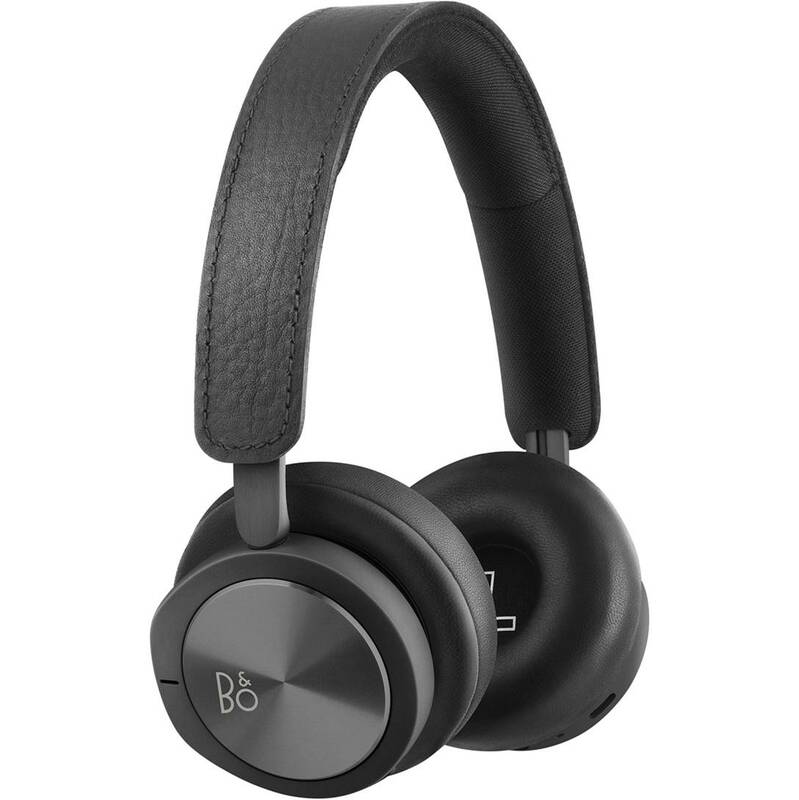 The B&O H4 wireless headphones have a wide sound stage, and they perform best in wireless mode where sound is fine-tuned by equalizers in the Bluetooth 4.2 chip. They feature sleek and modern looking design with clean lines and minimalist construction, and they come in plain black color. They feature premium quality materials such as soft lambskin leather on the headband, memory foam in the ear cushions, stainless steel sliders that have been PVD coated and hairline brushed, anodized aluminum ear cup discs, and durable braided textiles over the cords. These wireless headphones offer up to 19 hours of continuous playback with a single charge, keeping you connected to your music and calls while you’re on the go. The package features an audio cable, a USB charging cable as well as a Quick Start guide. You can control the Beoplay H4 through the Beoplay App that lets you customize your sound profile to match your music to your activity and environment. 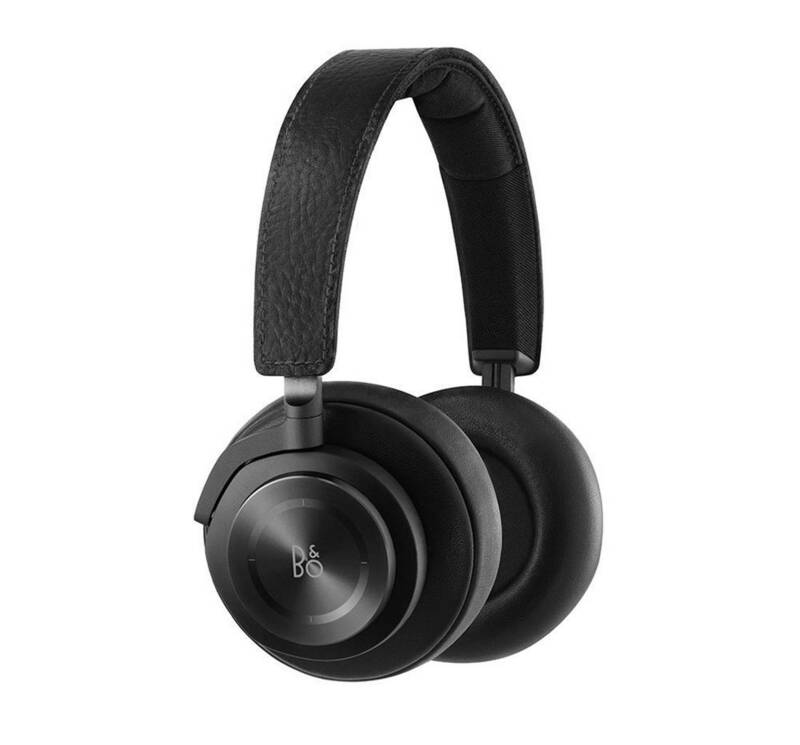 The Bang & Olufsen Beoplay H8i are premium quality wireless on-ear headphones with active noise cancellation (ANC). They deliver crystal clear sound performance, thanks to the Active Noise Cancellation technology for blocking out background noise and the latest 4.2 Bluetooth technology. The Transparency Mode lets you tune in and out of your surroundings with a touch of a button. Featuring an innovative design that incorporates two dedicated microphones placed at the precise angle and distance, the H8i headphones deliver clear and noise-free voice quality. It is possible to wiirelessly pair these cordless headphones with up to two devices at the same time. An improved range of over 100 feet lets you stream your music from a greater distance. They incorporate a built-in proximity sensor that automatically stops playback when you remove your headphones and resumes when you put them back on. They incorporate an intelligent battery-saving function and a battery capacity of 30 hours with a single charge. These features along with their lightweight design make them really suitable for your daily commute. We also liked the sleek and contemporary design that allows for freedom of movement. They include anodized aluminum discs, a leather headband and lambskin and memory foam ear pads that are comfortable when wearing with glasses. 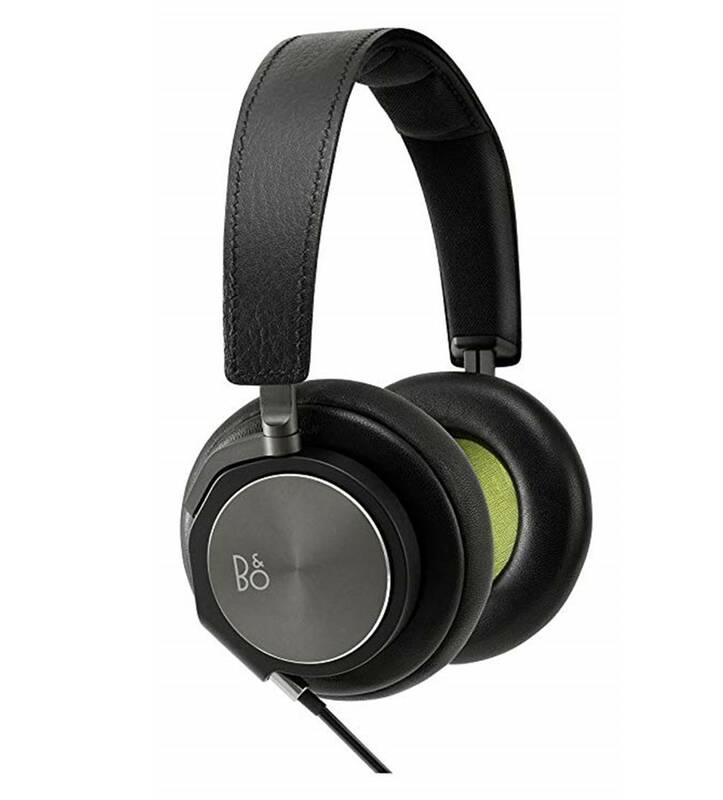 Overall, the B&O H8i are some of the best Bang & Olufsen headphones we have tested and highly recommend them. The Bang & Olufsen Beoplay H7 are over-ear wireless headphones that deliver crystal clear sound performance with a very comfortable design. They deliver well-balanced audio performance across the frequency spectrum with a wide soundstage. A built-in, omni-directional microphone lets you take and answer calls while the electro-dynamic 40 mm driver speakers keep music and conversations coming through with adequate volume output. The H7 headphones come with Bluetooth 4.2 technology with aptX and AAC codecs to optimize the audio quality. These wireless headphones give you up to 20 hours of playback from a single charge. If you outlast the Lithium-Ion battery you can plug in with the included audio cable to keep the music going. Their full charging time is approximately 2.5 hours. They feature an aluminum touch interface on the right ear cup that makes it easy to skip tracks, hit play and pause, control volume and answer calls. The touch interface works with gloves as well. The B&O H7 headphones are designed from high quality materials that ensure comfort as well as durability. The ear cushions incorporate adaptive memory foam, and they are covered in soft lambskin. Their design is sleek and modern-looking, featuring clean lines and premium materials. The anodized aluminum, soft lambskin and genuine cowhide leather age develops a rich patina, adding to the headphone’s durability and robust build quality. 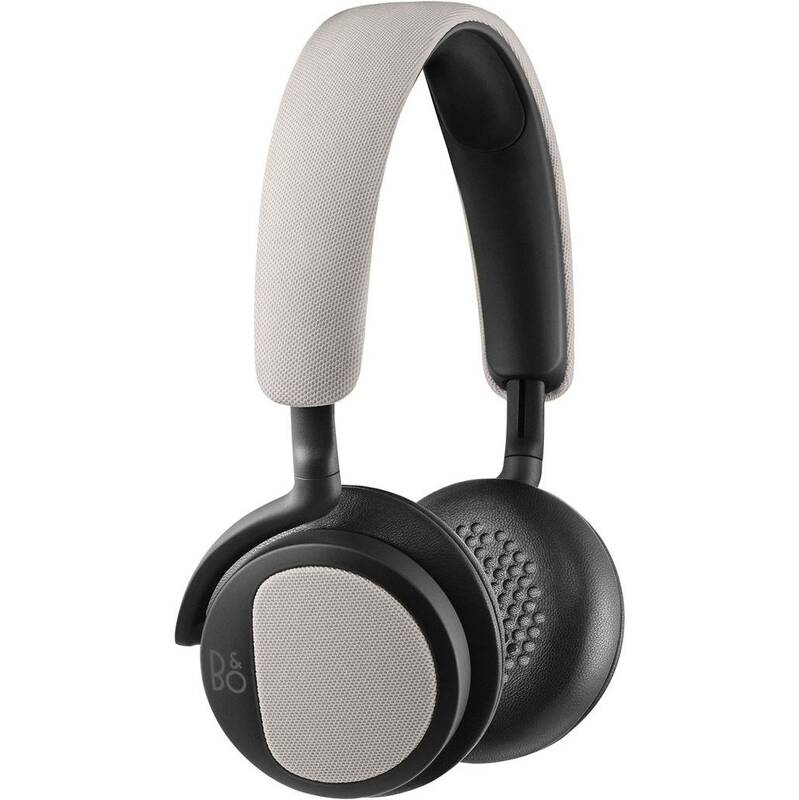 The Bang & Olufsen Beoplay H9 are wireless over-ear headphones with Active Noise Cancelling (ANC) technology. They deliver authentic audio performance with loud volume output and well-balanced response across the frequency spectrum. The active noise cancellation technology lets you focus on the music without hearing the surrounding noise. They can be used with wireless Bluetooth connectivity but they also come with an audio cable so that you can keep listening to music if they run out of battery. Featuring a built-in microphone, the H9 headphones allow you to take and receive hands-free calls. They come with a battery life of up to 14 hours of playback time with a single charge, so that you can keep listening and calling all day. The battery is both rechargeable and replaceable. They incorporate luxurious materials such as anodized aluminum and natural, genuine leather for strength and comfort. Their design is sleek and modern looking, and they come in beautiful argilla grey color. We liked the fact that the H9 headphones incorporate an intuitive aluminum touch interface that lets you take control of your music easily. The headphones come with a variety of accessories such as an audio cable with 3.5 mm mini-jack, a USB to Micro USB cable for charging, a flight adaptor, a carrying pouch and a Quick Start guide. 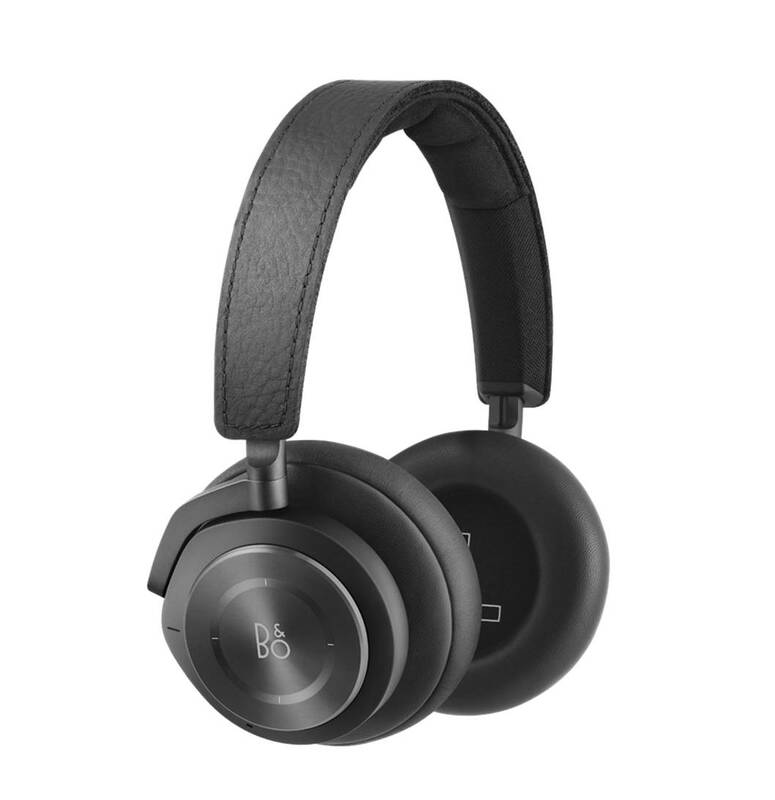 The Bang & Olufsen Beoplay H2 are flexible on-ear, closed back headphones that deliver premium quality sound. They deliver crisp and detailed sound performance across the whole frequency spectrum. The 40 mm driver and bass port in each earcup provide an easily accessible sound, as is appropriate for headphones intended to be worn outdoors. They provide an expansive soundstage with loud and accurate low end, and clear middle and high frequencies. The headband of the B&O H2 headphone is adaptive, which means that after you have worn it a couple of minutes, the headband adjusts to fit the size of your head. After you take off the headphones, they return to the original size. They come with a detachable and interchangeable cable that adds to durability. They also feature a three-button inline remote to answer and end calls, change songs and alter the volume as well as a built-in microphone, allowing the listener to easily take or receive phone calls. Their lightweight composite structure combined with genuine lambskin on the ear pad cushions ensures comfort for long listening sessions. 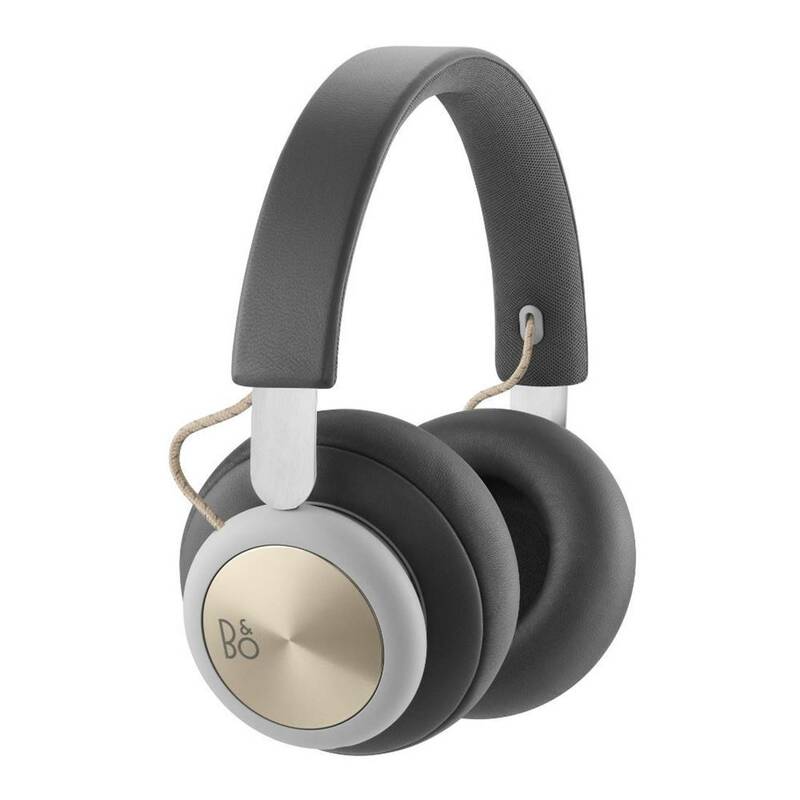 These B&O headphones come in silver cloud color, having sleek and modern looking design, and feel comfortable and lightweight on the ears without causing any ear fatigue. If you are looking for a comfortable set of headphones from B&O, the H2 headphones come highly recommended. The Bang & Olufsen BeoPlay H6 are high-quality over-ear headphones that deliver an authentic and well-balanced sound experience. They deliver crisp and detailed sound performance that is well-balanced across the frequency spectrum. This is achieved thanks to their 40 mm custom designed drivers that feature a neodymium magnet. They have adequate volume output without any audible noise or distortion. The BeoPlay H6 headphones incorporate an inline remote with three buttons that lets you easily control them as well as a built-in microphone that allows you to take and answer phone calls. They feature daisy chain functionality for sharing music easily: you can plug your friend’s headphones into the second line-in hole. They come with a sleek and modern-looking design. Having adjustable and ergonomic design, they are comfortable enough to wear for long listening sessions. The H6 headphones are crafted in luxurious leather and aluminum materials which add to durability and sturdy build quality. The package includes a cable with a 3-button remote, a headphone bag and a Quick Start guide. 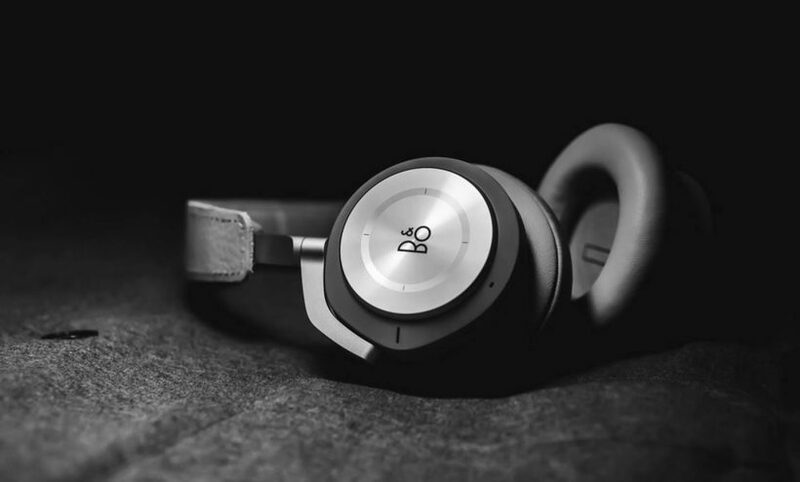 On the whole, the BeoPlay H6 are premium quality headphones with wired connectivity that are highly recommended to audiophiles and music lovers. The B&O Beoplay H3 headphones are custom-designed headphones that provide a superb listening experience. Each headphone piece is crafted from a solid block of aluminium with ultra-light and crystal clear sound performance. These headphones provide dynamic full tone sound design integrating a custom-designed 10.8mm driver, which allows the headphones to reproduce the original sound material as authentically as possible. The Beoplay H3 comes with a miniature bass port in an internal cabinet, which provides you with deep bass response in the low-end frequency range. Furthermore, the headphone itself is engineered with 26 air vents which provide comfort and good acoustics for a comfortable listening experience. The H3s also come with a three button inline remote and microphone for easy listening. The Beoplay H3 headphones are wired and relatively lightweight. They are designed to be portable and comes with a nice carrying case for easy storage. We also liked the fact that the manufacturer provided multiple sets of earbuds to choose from for you to get an optimal fit with the H3 headphones. If you are looking for some of the best B&O headphones for causal listening, the H3s are a great choice.